Have you come across licorice tea but been unsure of the health benefits? Of all the herbal teas, licorice tea is arguably one of the most beneficial yet under-appreciated. Why? 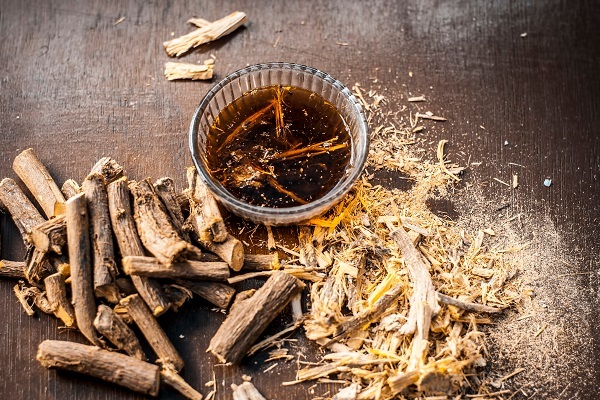 Licorice root, also known as sweet root, is native to Asia and Europe and has been used for centuries for its medicinal benefits including in both Indian Ayurveda and Traditional Chinese Medicine(TCM). Today you are most likely to encounter it in a powder form - which can be applied to the skin to relieve conditions like eczema, or as a tea - which consists of the dried plants leaves. Not only is it almost universally believed to be one of nature's best medicines, it tastes delicious. If you like sweet beverages, but want to wean yourself off sugar, substitute a cup of licorice tea for a sugar-sweetened beverage or add a little licorice root to your favourite herbal blend. Licorice contains a natural sweetener, glycyrrhizin, which is 50 times as sweet as sucrose. Take care, though, and limit your intake of licorice to one or two cups per day and if you want to use it for medicinal purposes, use it under supervision of a healthcare professional. There is such a thing as "too much of a good thing" and licorice can have unwanted side effects if overused. 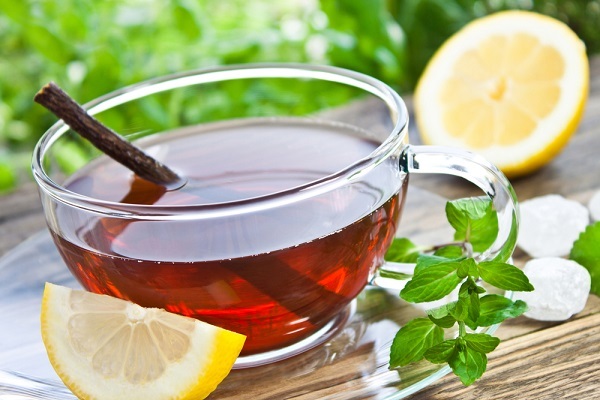 A mild laxative, licorice tea can relieve constipation. Licorice tea has anti-inflammatory properties that may ease the pain of arthritis and other inflammatory diseases. Licorice is an expectorant and can be of benefit in treating bronchial disorders. Studies have shown that licorice helps the liver neutralise toxins and can be beneficial in treating liver disorders such as hepatitis. Licorice tea is reported to have anti-spasmodic properties. Licorice is often recommended by herbalists as a substitute for St. Johns Wort as a treatment for depression. It is reported to significantly ease pre-menstrual tension (PMS). Licorice tea is used to treat low blood pressure. Licorice is believed to fight the formation of plaque in blood vessels and may help prevent heart disease. The Roman legions used licorice to help increase stamina and endurance. They also used it because its water retention properties helped them survive longer without water. In Ayurvedic medicine, licorice is used alone and in combination with ginger and/or cardamom as a general tonic in addition to its use for the treatment of many of the conditions mentioned above. Combined with milk, it is believed to be a sexual tonic. Licorice is considered a "first class" medicine in TCM because it helps preserve life. Extended use of licorice tea can cause a sodium build-up in the body, which can lead to high blood pressure. Overuse can lead to mild edema (swelling) in the face and ankles. A diuretic and laxative, too much licorice tea can upset normal bowel functions. If you are pregnant or breastfeeding avoid licorice in all forms, and the same applies to anyone with hypertension. Food or Medicine? How Do You Know if a Complementary Medicine is Safe?